A beginner paddles his surfboard out into Hainan Island’s warm waters wearing white gloves, a mask and snorkel. Another has his board back-to-front, while a woman wants to wear her leg rope like a dog collar. 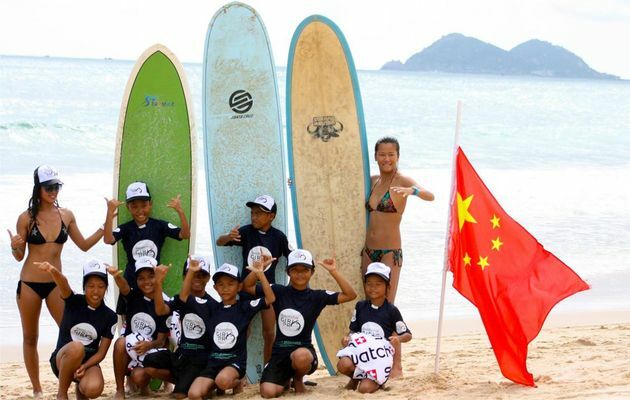 Surfing has a long way to go in China but there is no denying the sport has a future here. The ASP’s 2011 debut in China attracted worldwide headlines. Liu was profiled by CNN and the New York Times, perfectly scripted in her role of “dancing across the South China Sea”. A lavish opening ceremony with fireworks and dancers was attended by 10 000 people. Close to 1 000 spectators lined the sand for the first morning of competition at Riyuewan Bay — a year ago three men and a dog had looked on. An estimated $500 000 was poured into the contest by Swatch and the local government. There was a live, worldwide Internet broadcast and the surfers were treated like royalty. Before learning to surf, however, most Chinese need to work out how to swim. Education is key. Respect for the ocean. Keeping it clean. The simplicity of technique. Understanding the danger and the joy of waves. “From a historical point of view, it’s quite an honour for the ASP to be here. There was a great buzz last year and it opened the eyes of the surfing world to the potential of China.